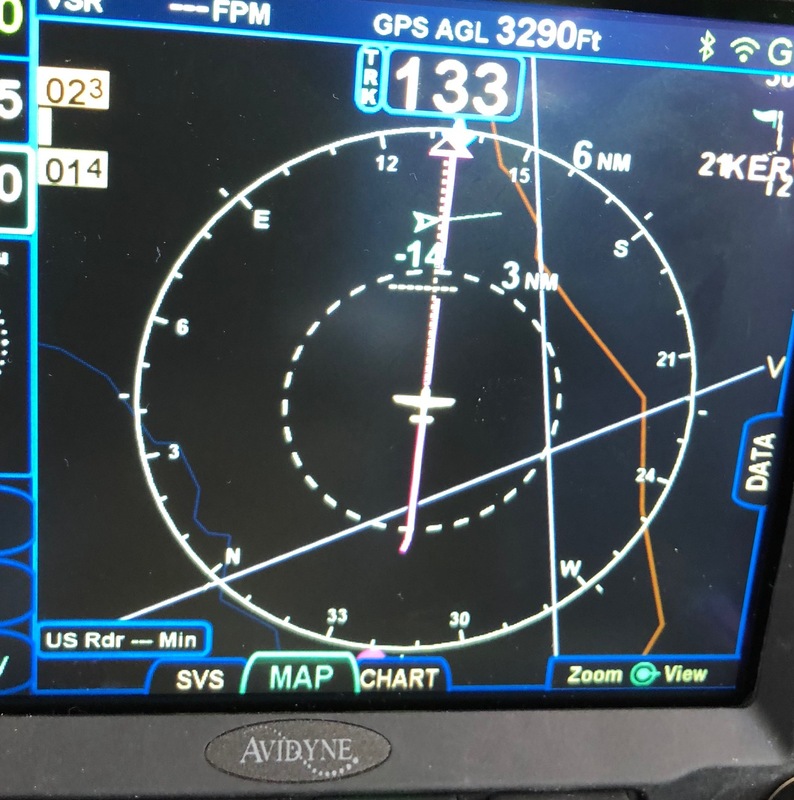 At Oshkosh this year, Avidyne folks mantra was: "Just buy the L3 Lynx, because we are having issues displaying traffic correctly on the 540s from the Garmin GTX-345." My avionics shop is telling me, that he is not aware, traffic works fine from the 345, on the IFD-540. With two IFD-540s, I don't really NEED another screen in my panel (lynx). Anyone know what the deal, really is? It's your shop that is giving conflicting info. They should agree to install the 345, and then remove it and refund all your money, if their promises prove to be wrong. If they won't agree to do that then they are not so sure after all, and what Avidyne said is probably more accurate. So press the test button with your shop and see what results you get. I understand that the Lynx will display traffic and weather on the IFD540 if the two are properly connected. The Lynx in my plane is not connected to the IFD540, and I'm debating whether to even make the connection because I can see the traffic and weather just fine on the iPad (Foreflight) and the IFD screen is less cluttered. The advantage of the Lynx is that it is dual band in for traffic. And, it can be upgraded to TAWS and active traffic if desired. The Garmin GTX345 works great for traffic and weather on the IFD. So now we hear that the Lynx will not display UAT target icons on our IFD540's, only "Legacy" Diamond icons. What is your experience with the GTX345 displaying its Composite trafic on the IFD540's? 2. Even if you do not have a TAS unit feeding into your GTX345, but just with your GTX345 Dual ADSB-In, what does your IFD540 display show - Diamonds, or UAT icons? I haven't heard that, on this forum at least. I have a Lynx connected to an IFD, and reported in another thread that if you have not updated your IFD software and are still using an ARINC 429 connection between the Lynx and the IFD, only basic traffic icons will appear. If your IFD software is up to date and the Lynx/IFD connection is over RS serial, the IFD should display ADS-B traffic icons. And ADS-B weather as well. Has anyone reported differently? The release notes for the EX5000 MFD software R8.2 say that it will only display “legacy” style traffic icons when connected to an ADS-B In device, either Avidyne or other. It would be interesting if this was a limitation of the 429 connection, which is what Avidyne recommends for ADS-B traffic, or of the MFD software. In the "Connecting an NGT9000" thread early Apr 2017, there are pictures showing ADS-B symbology (traffic and weather) on an IFD440. The traffic *must* be delivered via RS232 to get the ADS-B darts. I'm almost certain no *approved* display device will display "ADS-B" symbology when the traffic is received via ARINC 429, because of how the TSOs were written. No, elsewhere Avidyne reps have posted to this forum that it is a limitation of the MFD box itself. Something about not meeting TSO requirements, with the result that the EX5000 MFDs will never display ADS-B traffic icons from any box, or over any port. Fortunately, the IFDs are a more modern design and do not have that limitation. I have the 345, no issues. What do your traffic icons look like on the IFD? Are they diamonds or triangles? Does your IFD display the ADS-B weather radar image? I have an IFD440 and a Garmin GTX345. Traffic is displayed on the 440 and IFD100 as diamonds. Weather is not displayed on the 440 or 100 because I have not had the dedicated wire ran from the 345 to the 440, I may have it done in the future but not currently a priority. I do get ADS-b weather and triangles traffic on Garmin Pilot. I'd also say I get fewer "false traffic" readings on Garmin Pilot. I have a GTX345 and an IFD550 and it shows traffic trend and yes the IFD shows ads-b nexrad. Well.... that IS interesting.... Avidyne sales is telling me that Garmin isn't playing nicely and this doesn't work. I also have it displayed on my Aspen MFD1000, so not sure if it goes from the GTX-345 to the Aspen first or the IFD first or maybe it's wired parallel. Oh, so If I buy the "Aspen converter" it'll work? :) Just kidding. Just trying to figure out what to buy for ADS-B. Having two airplanes to equip makes this painful. I don't think the Aspen has the ability to receive ADS-B and then re-transmit it, so I'd say it is received directly. With respect to the symbology, I think it really comes down to the physical interface. Send ADS-B across Arinc 429: TIS symbology only (the diamonds), and no WX. This is almost certainly true for ANY certificated product, and not limited to Avidyne. Send ADS-B across RS-232 or RS-422, get ADS-B symbology for Traffic (lawn-darts/Asteroids spaceships), and have weather available. The original Lynx NGT incompatibility was due to the data rate L3 used for RS-422 (115kbaud, which is the maximum RS-232 rate). This incompatibility has been resolved (Avidyne with 10.2.1 supports that high rate). If an ADS-B receiver uses (a) RS-232 or RS-422 to deliver an ADS-B data stream, (b) "Capstone" protocol (defined by Garmin), and (c) a data rate compatible with an IFD setting, it should work and produce the desired results. I would not expect Avidyne to claim compatibility with Garmin, beyond the features Garmin offered at the time the IFD was announced (2011). Garmin is notorious for introducing proprietary features especially after a product introduction, which is one reason I will never again buy a Garmin product. This makes logical sense, but in the cases where a Garmin 345 is sending ADS-B traffic and weather to an Avidyne MFD, the instructions from Avidyne have traffic without vectors being displayed via 429, and weather via 422. If the 422 connection provides both weather and full ADS-B symbology, why can’t the MFD get that information from 422? I suspect there is some TSO stuff that makes this non available; I know the EX5000 has the ability to display traffic vectors from TIS transponder feeds, which I thought came via ARINC 429..
With my TAS-"A" upgrade working, I have the TAS-A box displaying on dual Aspens via ARNC429, and displaying on dual 540's on RS232.
. The TAS-A: TAS & 1090-IN ADS-B still display as "Legacy" symbology without any triangles or speed vectors.
. Aspens (TAS-"A" 1090-In plus TAS via ARNC429 Legacy symbology. With the reported UAT Symbology I suspect the GTX345 display on Avidyne 540/550 is the 987-In ADS-B & ADS-R, and not the 1090-In Legacy targets, which would be "diamonds".